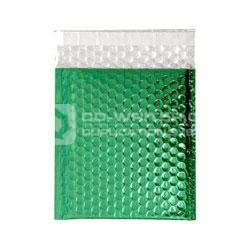 Colourful peal-and-seal, green protective CD envelope with bubble finish. Drop and scratch protection for your audio or data. High visibility. Green . Bubble . CD . Envelope . 100 . Pack .